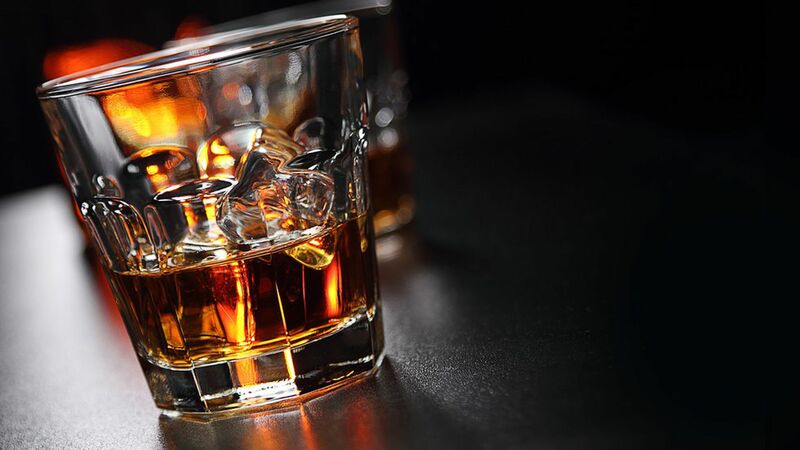 A new study, published Thursday in the journal Scientific Reports, breaks down the chemistry behind a Scotch-drinking tradition: adding just a touch of water to the glass to bring out the flavor. They found adding water isn't a placebo-effect inducing wives tale. The reactions that occur after a little dilution really do add flavor. The researchers conducted a series of simulations to see how water, ethanol, and a flavorful compound in whiskey called guaiacol would behave at different ethanol concentrations. Guaiacol is somewhat hydrophobic, so it doesn't mix well with water. In stronger whiskey, the guaiacol is evenly mixed throughout the drink. But adding a bit of water causes the molecules to float to the top, where they can mix with the air and arrive at the drinkers' nose, creating a stronger flavor. Yes, but: These researchers only looked at three of the hundreds of compounds in whiskey.